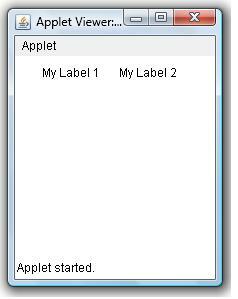 This java example shows how to create a label using AWT Label class. * Label() constructor of AWT Label class. * void add(Component c) method.